Capture full color 3D scans with TrueDepth devices. Before Scandy Pro, the brave new world of 3D was only for 3D game designers and digital artists. With Scandy Pro, everyone can create 3D content. Easy enough for novices, powerful enough for professionals. While photogrammetry textures are high-quality - we all know the pain of taking two hundred pictures, uploading them to some server, and waiting for processing to complete, all for a model that won't work. Scandy Pro gives you immediate feedback - the preview you see as you scan is the model you'll get. Scandy Pro offers a complete set of editing options so you can prepare your 3D model in seconds without having to open your computer. Scandy Pro is free to use! 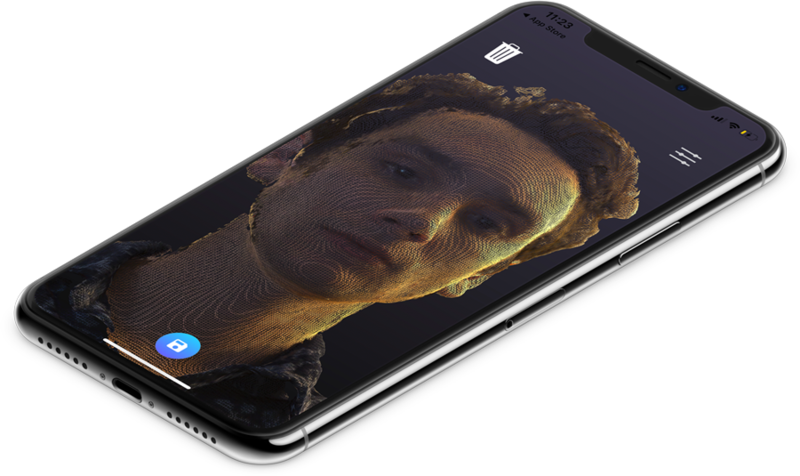 Available in the Appstore now, you can create 3D scans with any TrueDepth enabled iOS device. Support further development by subscribing to Scandy Pro for full-access. Best for short stints of scanning needs. Have a project the next few days? This plan is your best bet. Most popular for hobbiest and professional 3Ders alike. Still have questions? We get it. 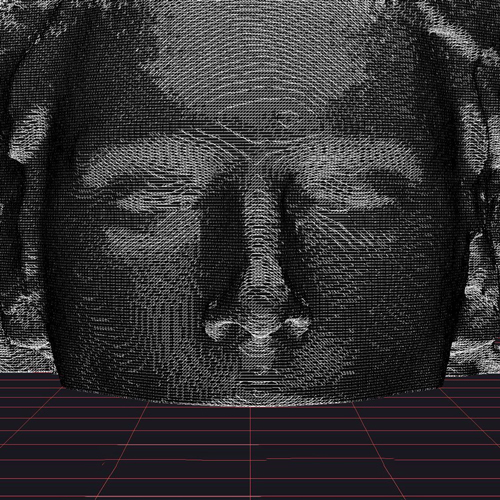 3D scanning is a pretty new technology - it can take a bit to digest it all at once. Here are answers to common questions! What devices are compatible with Scandy Pro? Since Scandy Pro depends on depth-sensing hardware - we currently only support TrueDepth iOS devices. This includes the iPhone X, iPhone XS, iPhone XS Max, iPhone XR, and the 3rd gen iPad Pro. Do Scandy Pro models include texture maps? We are currently working on texture mapping for OBJ files. Currently users can export a model as PLY, OBJ, and STL files. We are currently working on USDZ compatibility and expect to release an update for support before the new year. What is the largest object Scandy Pro can scan?? Since Scandy Pro intends to be an object scanner, rather than an environment scanner, the max bounding box size is currently limited to four meters. What is the smallest object Scandy Pro can scan? Currently Scandy Pro is able to scan well within 1mm accuracy at a small scale. In-app measurements are currently rounded to 1mm because we don't want people to think that we are sub-millimeter accurate all the time. It depends on the size of the object being scanned.